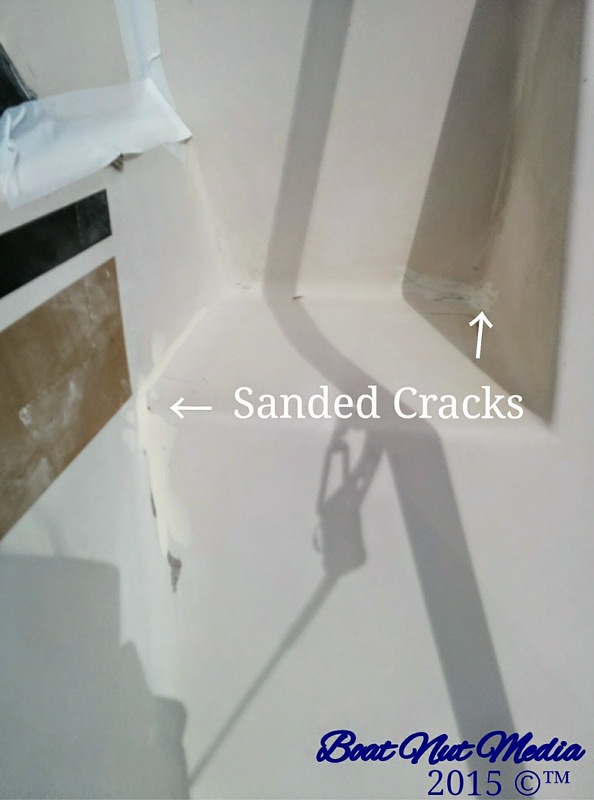 Stress cracks are those nasty spider web looking cracks that occur a point of impact or where there is movement in the fiberglass deck or hull. Movement means an area were a stiff or built up area of lamination meets an area of less lamination. When the material tries to flex stress cracks appear along this line. 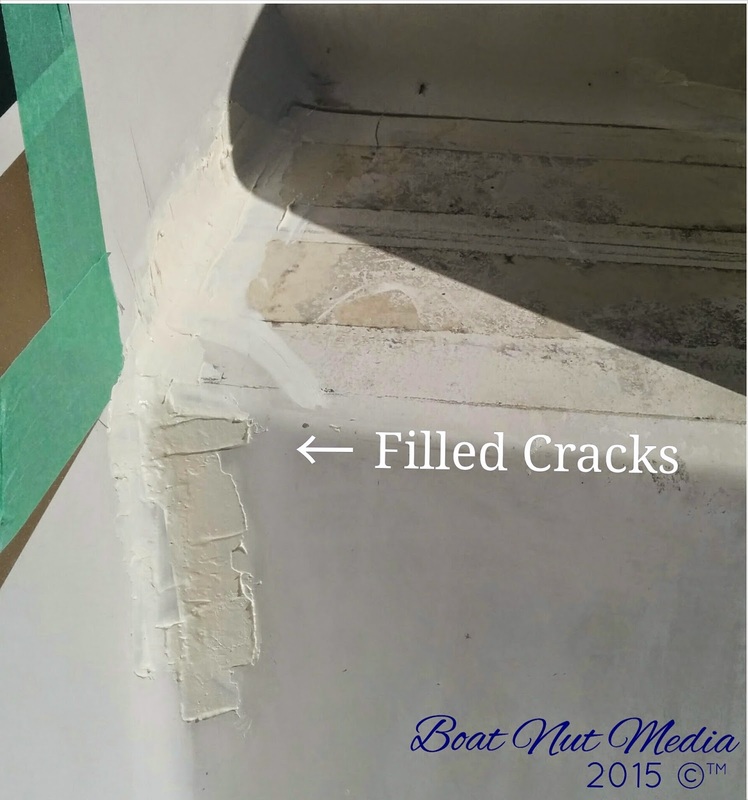 These types of cracks often occur in a tight radius, under cleats, or at the back edge of your swim platform. What are they? This is were the base fiberglass material under the gel coat has fractured, when a really bad stress crack occurs the gel coat will start to flake away exposing the pink material under the gel coat layer. 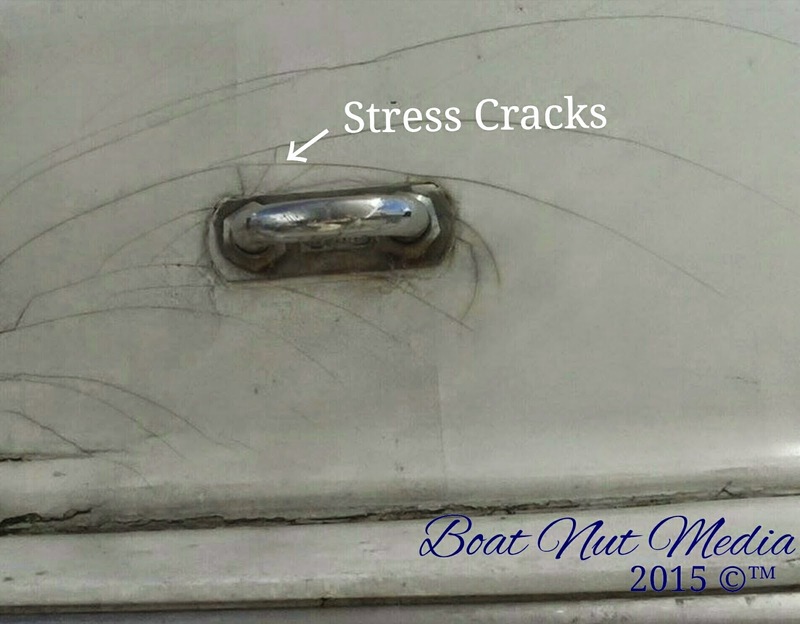 When you stress or impact the surface of the boat stress cracks will show up, either in the weakest locations or the locations that are overbuilt. 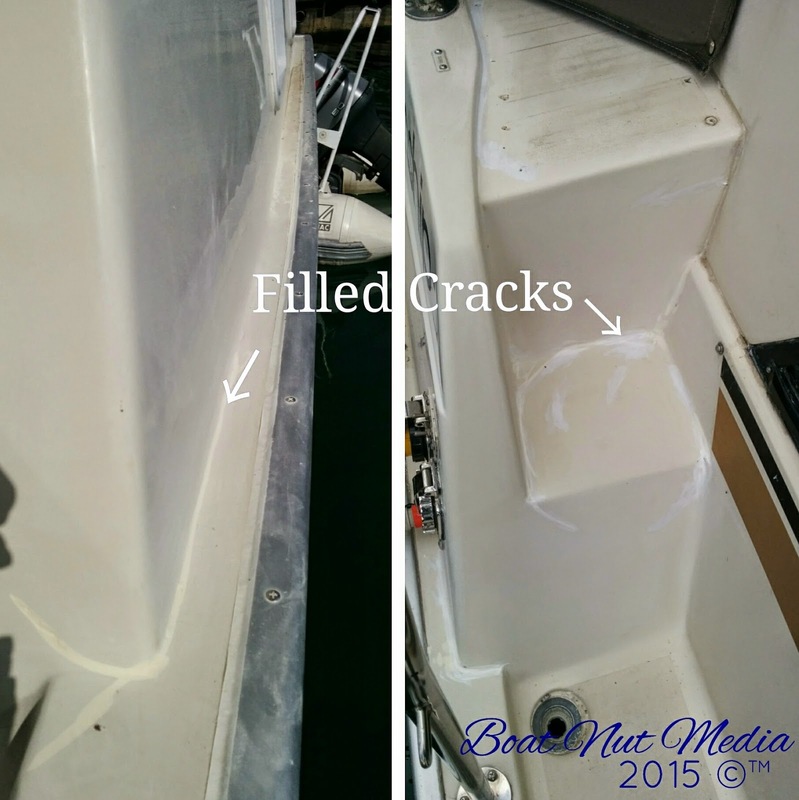 Boat fiberglass lamination construction is a fine art between to thin and too thick. If the material is too thick it will shatter like window glass, it has no give or flexibility. If the material is to thin it will crack from lack of lamination or voids in the lamination process create a reduction of material strength and bond. 1. So how do you determine what your issue is? Well the first thing you should do is take a good look at the damage area, if it is a series of long cracks that have a gap between them of 1 or 2 mm or more start by taping the area with a plastic mallet and compare to an area with no cracks. If it sounds stiff and solid it is likely an overbuilt area or an area were bulkheads or stringers are installed in the molded part. This is the best kind of stress crack to deal with. You will need your Dremel, you will rotor along, following the cracks just past the ends. Only remove the gel coat layer without going too deep into the pink layer. Once you have taken this step along all the cracks, take a rag damp with acetone and wipe down the cracks, you have just taken the gel coat layer off. When the crack is still wet with acetone inspect the crack. Acetone will enhance the visibility of the pink material and you will see if the crack continues through the pink material. If the cracks are still clearly visible then go ahead and rotor a little bit more of the pink material and inspect again. Once you are satisfied that you have removed the crack you will treat the area as if it were a gouge or chip repair. Use the method that we out lined for a fill fair and spray repair in Fiberglass Repair part 1 posting. If you do not have time to do a full repair you can stop these cracks from continuing to grow, simply rotor a dot through to the pink material at the vary end of each crack. Then you can take a small amount of gel coat and fill the small rotor dots, and repair the cracks later. 2. If you have an area were the stress cracks are really close and all over each other like a wild spider web, you can do the mallet test again and tap this are and see if it sounds different (hollow or thin). If you notice a distortion in the shape of the area with the stress cracks, it is a sign that this will be an involved repair to fix. In some cases you maybe able to gain access to the inside of the boat and view the lamination, check to see if you can see sunlight through the area. this will allow you to assess how thin the area is. In this case you will need to remove the layer of gel coat that is damaged, for this you will need a grinder with a non aggressive grinding disk. 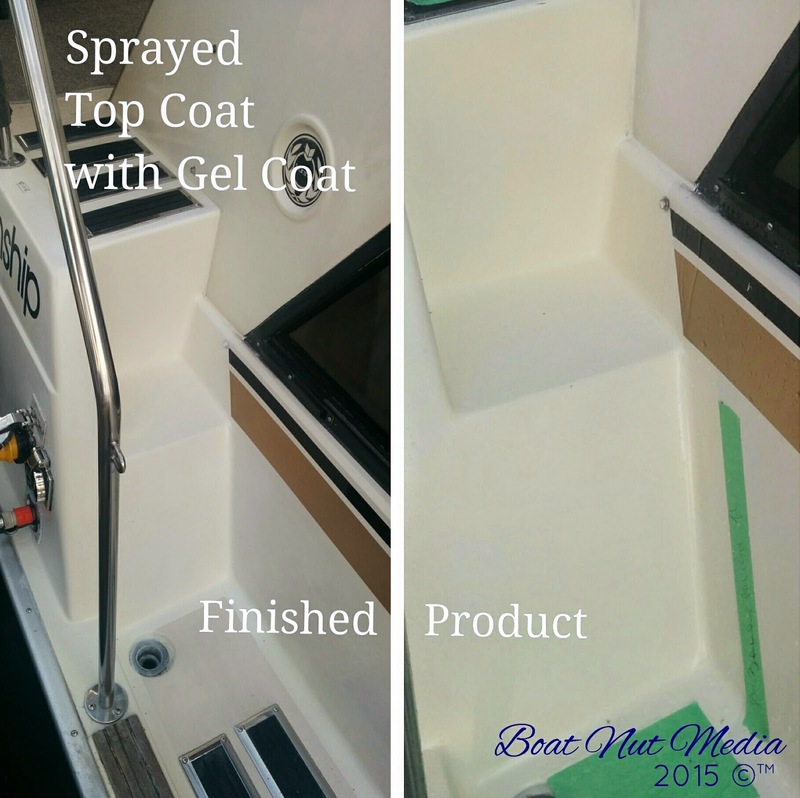 Carefully remove all the gel coat that is cracked without loosing the over all shape of the boat in the area you are working on .If it is for example in a radius, do not grind the radius away just the gel coat needs to be removed. Once the gel is cleared away with a rag damped with acetone and wipe down the area. The pink material will become translucent for a moment and you will see how bad the lamination is damaged. If the pink lamination is badly cracked you will need to remove some of this pink material 1 or 2 mm deep with the grinder. The reason for this is if you fill over the cracks they will reappear almost right away. The procedure for this repair requires you to replace the pink material with a new piece or fiberglass mat to prevent print through (this means the cracks immediately reappearing in your repair). The actual steps to this type of repair are difficult to follow in a written format, however I will do my best to explain the steps to you. 1- Apply a layer of fiberglass mat to the area you ground using lamination resin. 2- Allow this area to cure and take your grinder and fair or reshape the area to allow for gel coat fill. 3- follow the repair procedure from post Fiberglass repair part1 to complete the repair with gel coat. 2. Quiet often by the time you purchase all the products and calculate the time involved it is worth hiring a fiberglass repair person to complete the repair described above. 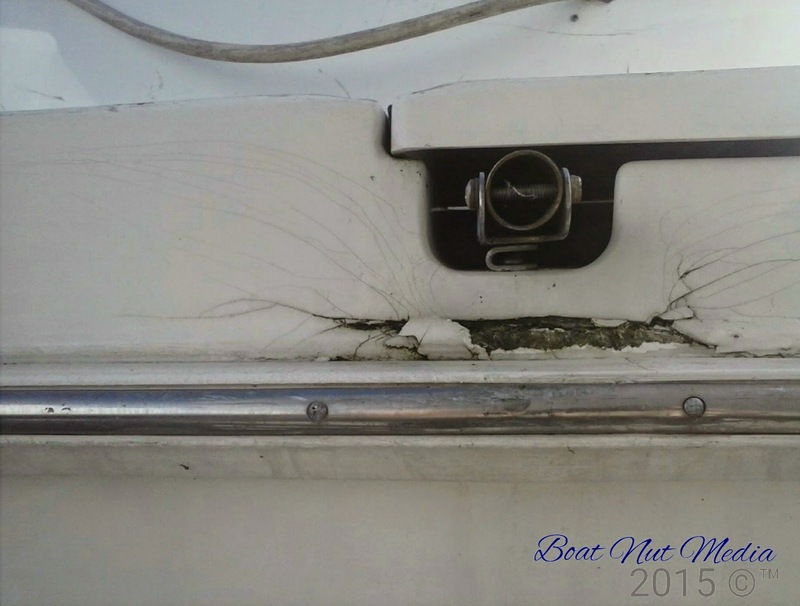 If you do not have access to a repair person order the fiberglass repair DVD from Boat Nut Media and see the steps involved in completing stress crack repair. If you go else were for information do not let anyone sell you on the idea that you must use epoxy resin for repair this is non sense. A production boat is made out of polyester resin and using any other resin to repair will create all kinds of problems. 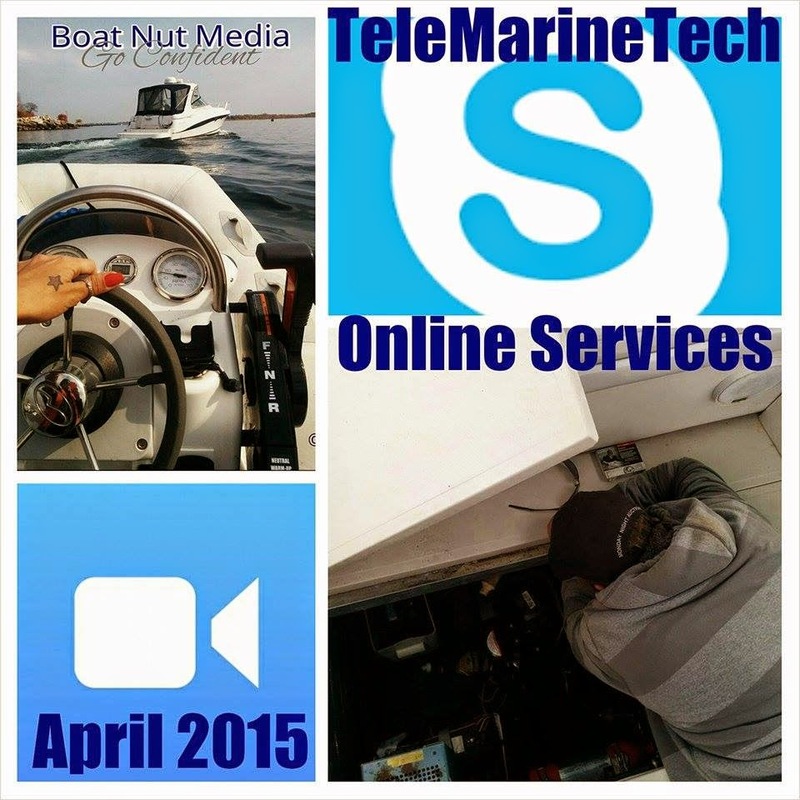 Use the materials your boat was made out of to complete all repairs. 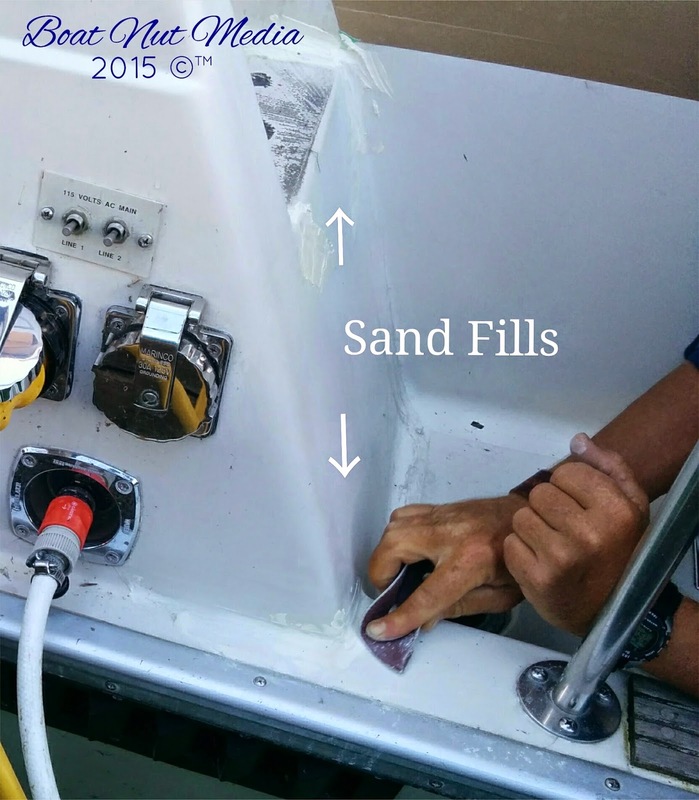 When you start to introduce materials that were not original to your boats construction your repairs will be difficult and won't likely turn out, they certainly will not last. We think of it as the keep It simple stupid method, the kiss theory will pay off. Quality and original materials will make gel coat repairs manageable.